How To Keep A Secret is out in the UK today! Subject: How To Keep A Secret is out in the UK today! 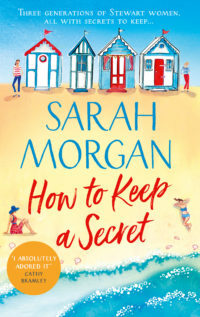 How To Keep A Secret is out today in the UK! 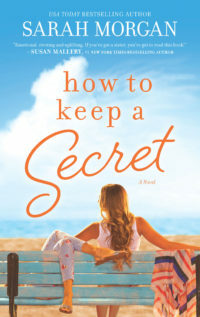 This book focuses on three generations of women from the same family, all of whom are keeping secrets from each other. When circumstances force them to spend the summer together on the beautiful island of Martha’s Vineyard, those secrets gradually emerge. It’s a family drama, with twists and turns (and a few surprises!). It explores the intricate and complicated relationships between family members - grandmother, mother and child. And of course there is also romance! I’m not sure I could write a book without a romantic element. I loved writing this story, but in particular I loved exploring different relationships and characters of varying ages. Nancy is a grandmother and has been carrying secrets her whole life. Jenna and Lauren are sisters – they believed they were close, but discover there are still things they don’t know about each other. Mack is a teenager, and her life is becoming more complicated by the minute! I’m so excited about this book and I hope you love it too. You can read the first chapter on my website if you want to try before you buy. I hope you’ll join me on Facebook or Instagram and let me know what you think of the book. ‹ News from Sarah Morgan!